Kitchen organization is always a priority in our home since it is one of those rooms that we are always using. 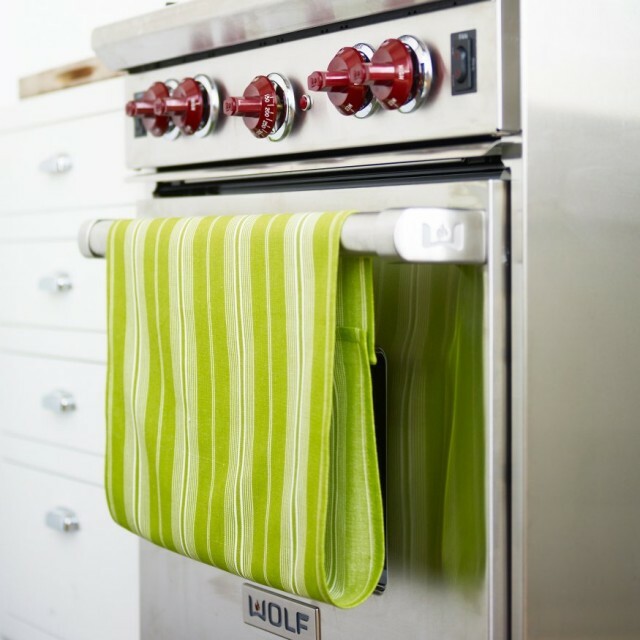 Do you ever wonder how to keep your kitchen clean? Well, here are some ideas perfect to help us with that! 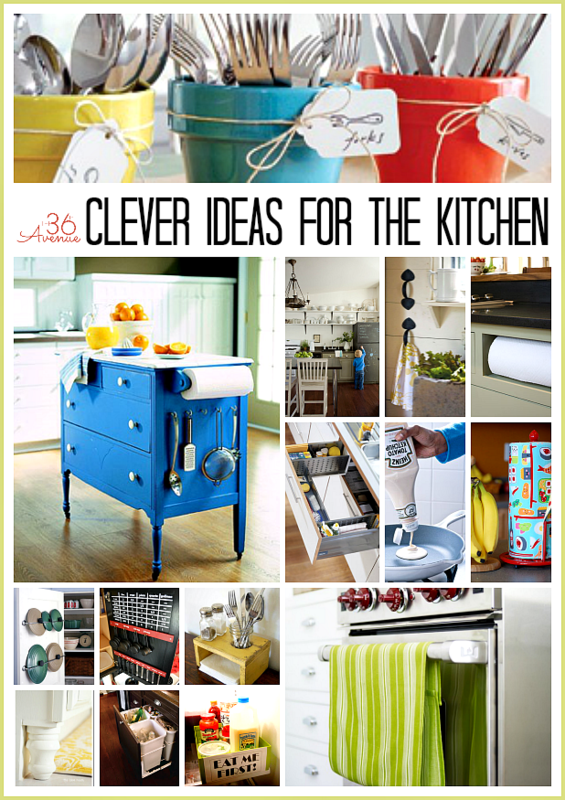 So today I’m sharing with you some pretty CLEVER Ideas that I have found for the kitchen. This first idea is GENIUS! 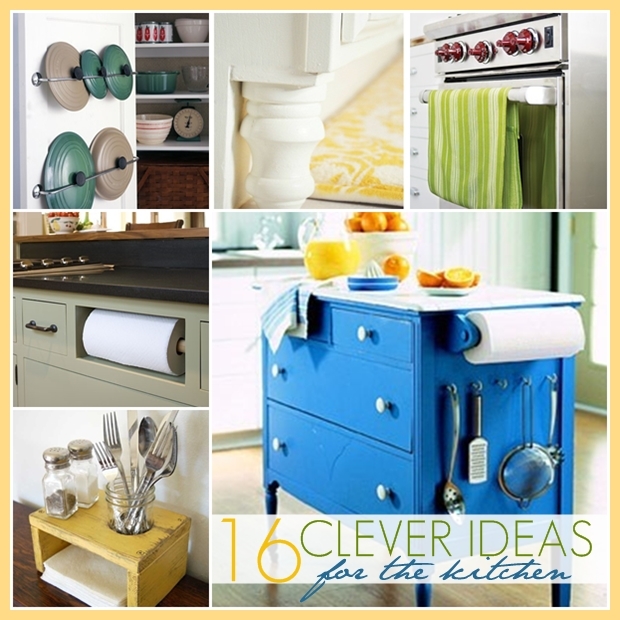 Transform a dresser into a kitchen island! Why didn’t I think about this? 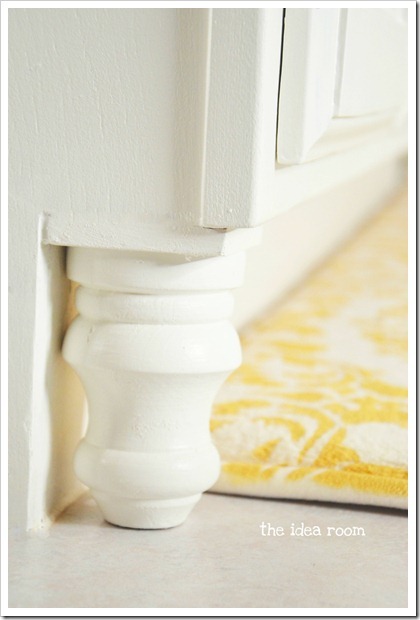 Amy from The Idea Room added a couple of finial feet to the base of her bathroom cabinets. 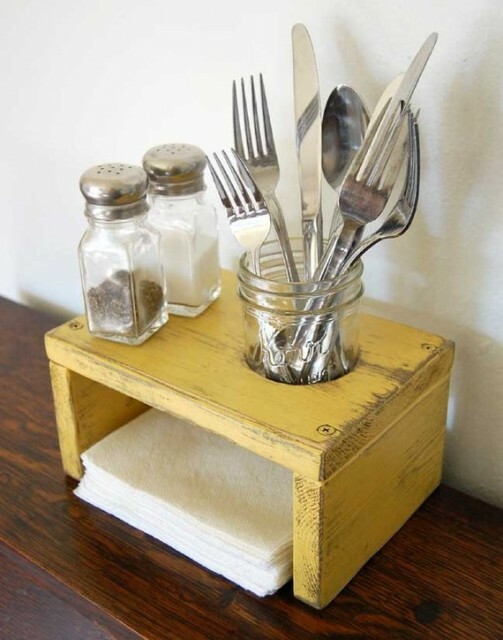 This same idea can be used to make your kitchen cabinets look more custom made. This is just awesome to me. I hate looking for lids all over the place. 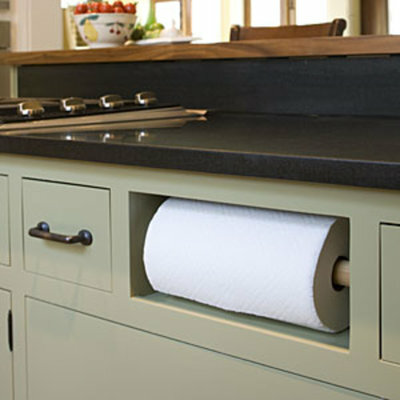 Remove a drawer and replace it with a paper towel roll holder. 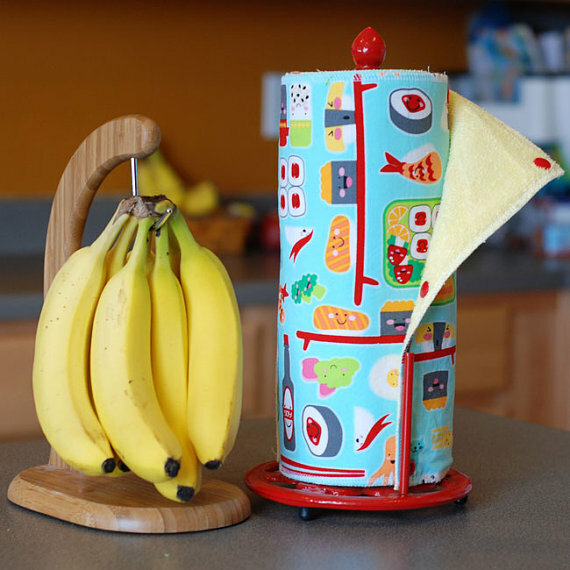 I am doing this one for my kitchen! 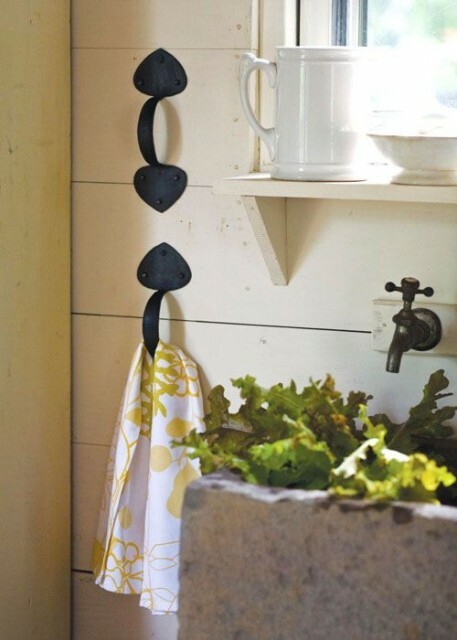 Use regular handles as towel holders. 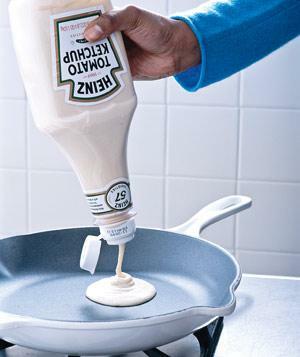 Pancake/crepe mix in a recycled ketchup bottle. 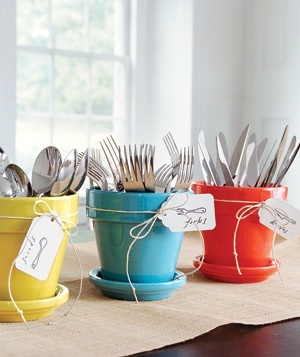 What about using pots for storing your silverware, easy, practical and cute! 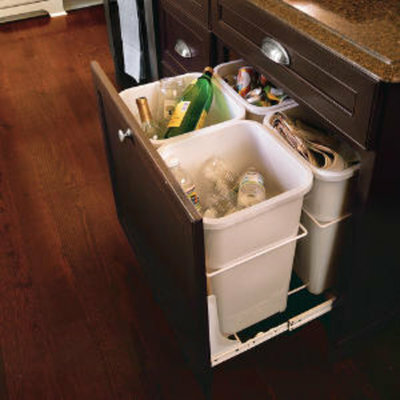 Make a small recycling center in your kitchen. You could make this project in less than 10 minutes! She wears them as hats and scarves! 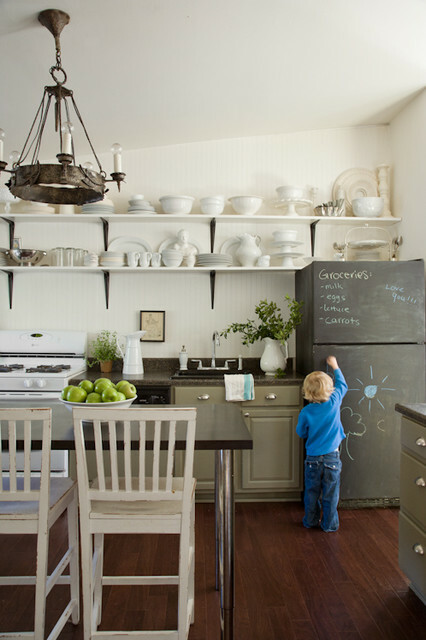 Paint your old fridge with chalkboard paint! Another fun and clever idea! “Waste Not” basket for fridge. I love this print cute and clever! If you love to bake, you are going to love this idea by Infarrantly Creative! 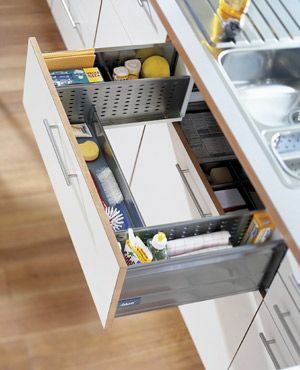 Make a drawer that wraps around the sink. 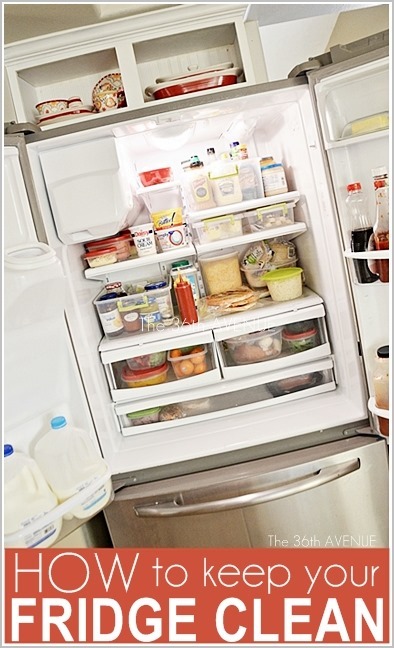 …and take a look at how to organize and keep a fridge clean here. 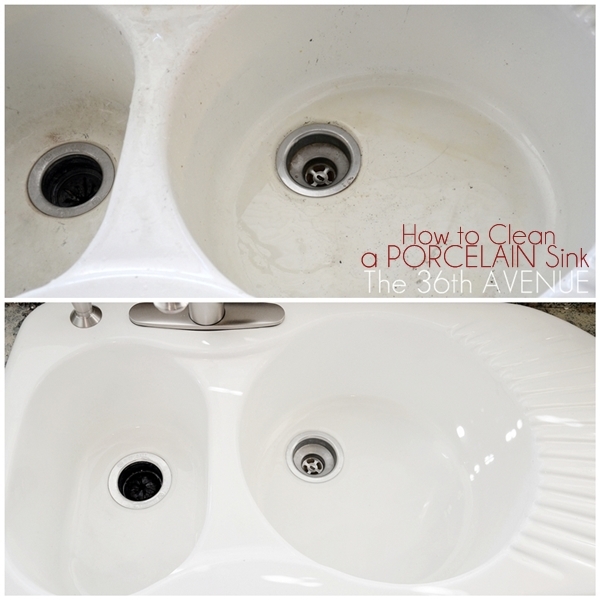 Before you go check out our Kitchen Makeover you won’t believe what paint can do for you. Thank you for visiting my friends! PreviousParty Time & My Memories GIVEAWAY! Wow! absolutely great post and awesome information. Thank you so much. I want to say I love your blog and really enjoyed reading this post. Thank for your great and time saving ideas! I loved them and will try to incorporate some into my home and life. P.s. 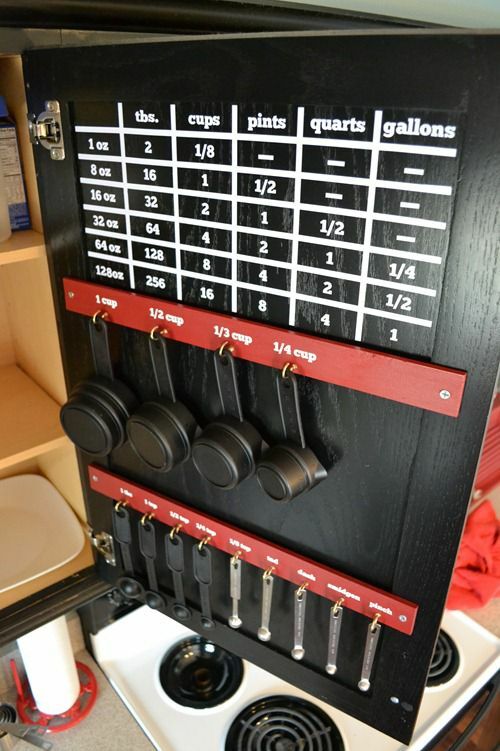 I ordered the cupboard measuring chart from the link provided. Thank you so much for come and visit… Have a great day! Wow such great ideas! I LOVE the conversion charts for cooking and baking. My “pinning” finger is tired! LOL Thanks so much for sharing! Great ideas! 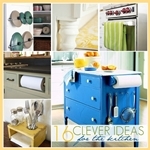 I love the kitchen island and the baking center inside the cabinet door, but there are many ideas I will use. We are considering downsizing to a house under 1000 square feet, with a small kitchen and I see several things that would help make it more organized. Thank you for all of your posts…I enjoy getting them. You are very welcome… Thank you so much for stopping by! Lots of good ideas, I especially like the attachment of handles to the wall to hang towels. I like to leave my kitchen window open during the summer and if a strong gust comes along my kitchen towels end up on the floor. This is dangerous because my dog likes to claim them and hide them throughout the house, or he just decides they are his property and he “marks them” with his scent.